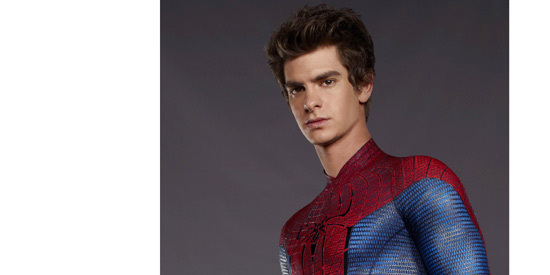 “Peter Parker is a hero, not a superhero,” says Andrew Garfield, who takes on the iconic role in Columbia Pictures' eagerly anticipated 3D action-adventure, The Amazing Spider-Man which focuses on an untold chapter that tells a different side of the Peter Parker story. “He’s already good before the spider bites him. After that, he gets the power to act on what he already knows is right,” the actor adds. The Amazing Spider-Man is the story of Peter Parker, an outcast high schooler who was abandoned by his parents as a boy, leaving him to be raised by his Uncle Ben (Martin Sheen) and Aunt May (Sally Field). Like most teenagers, Peter is trying to figure out who he is and how he got to be the person he is today. Peter is also finding his way with his first high school crush, Gwen Stacy (Emma Stone), and together, they struggle with love, commitment, and secrets. Opening across the Philippines on Friday, June 29, in IMAX 3D, Digital 3D, 2D and regular theaters, The Amazing Spider-Man is distributed by Columbia Pictures, local office of Sony Pictures Releasing International.